Line up the candy cups on a baking sheet. The baking sheet will be helpful when moving them outside or to your fridge to set. 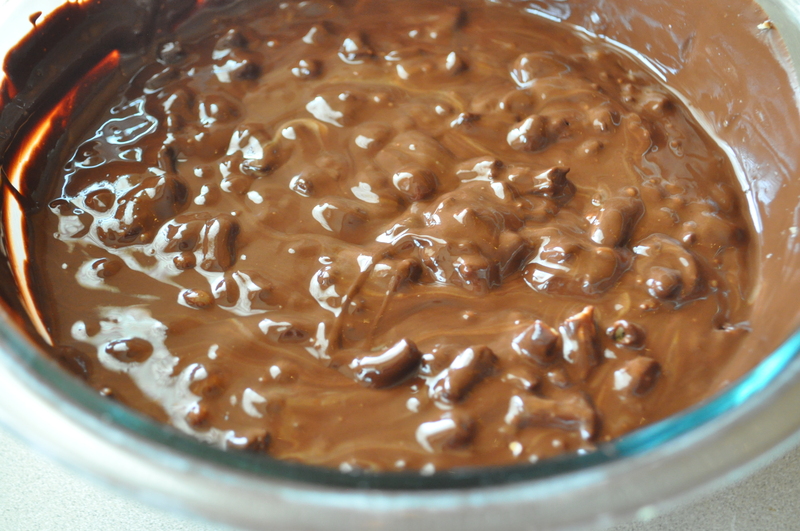 Melt chocolate on medium low in a double boiler or fill a medium pan 1/3 with water and set a glass bowl on top. 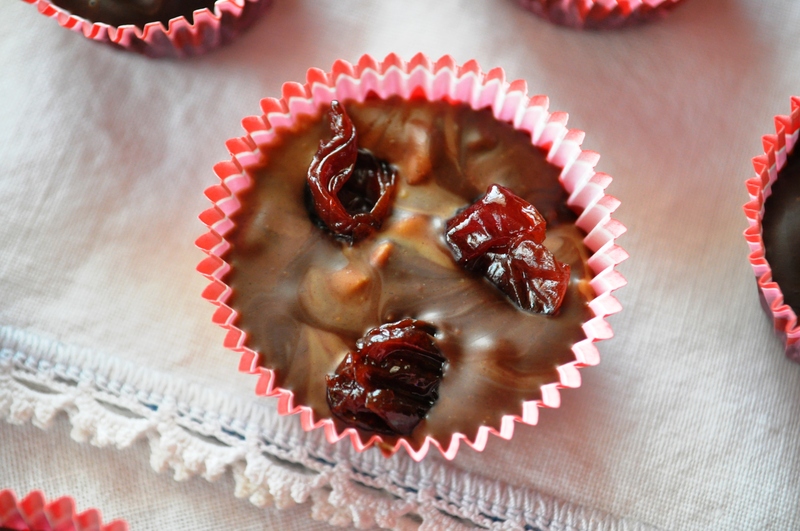 Once chocolate has melted completely, stir in peanut butter but not too much. You want it to be swirled throughout the chocolate. Gently fold in crushed pretzels, folding only until incorporated. 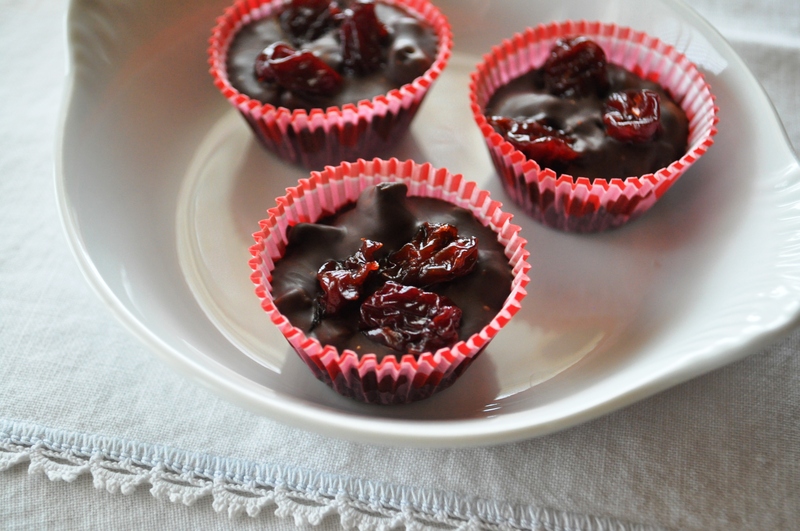 With a small spoon, fill candy cups just below the edge, about 3/4. 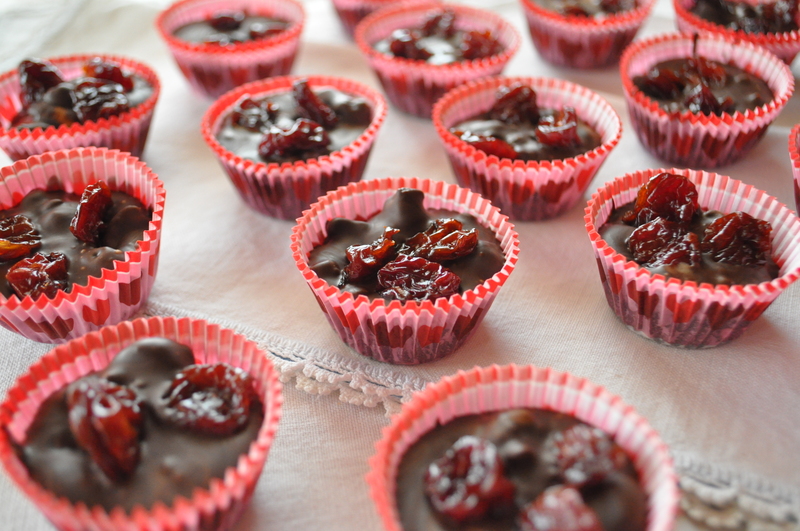 Top with three cherries each. Refrigerate chocolates for 20 minutes or until completely set up. Don’t leave them too long or the oils will separate and the chocolate will become cloudy. I’m going to send this recipe to friends and encourage them all to make a batch. Hopefully, they’ll give me a few. If I made a batch, I’d finish ’em off within hours, no doubt about it. They are so good, and maybe a little too easy and convenient to make when you have the craving. I’ve managed to have only two, but the pie dough cookies are my real weakness.